Portraits by and of Leo Bensemann are foremost among 50 outstanding examples drawn from private and public collections, Bensemann sits alongside artists including Evelyn Page, Olivia Spencer Bower, Rita Angus, Toss Woollaston, Doris Lusk and Colin McCahon, who come to life as both subjects and artists in 'Leo Bensemann & Friends: Portraiture and The Group'. 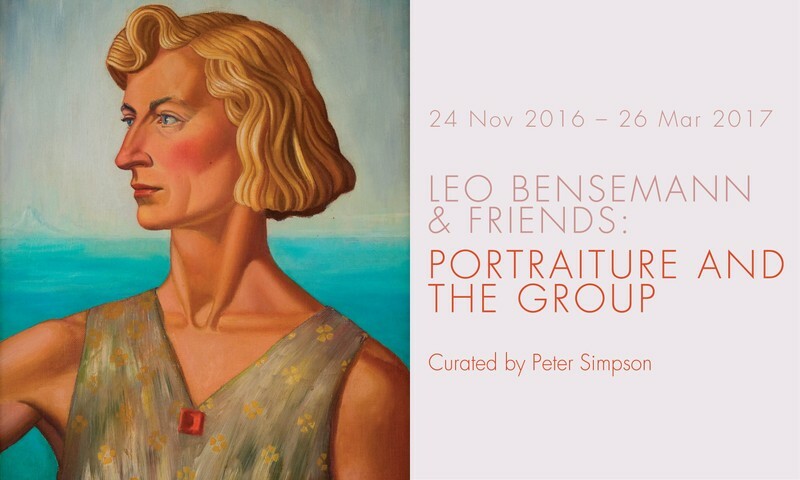 Join curator Peter Simpson on the opening day of Leo Bensemann & Friends: Portraiture and The Group for a talk and tour of the exhibition. Discover the intimate relationships between all the artists and their peers and learn about how they changed New Zealand art forever. These are not portraits of prominent people designed for hanging in public buildings, these artists painted themselves and each other, close friends and family – fathers, wives, children and lovers. Bensemann is at the heart of the exhibition, because of all these painters, who knew each other well and belonged to the same social networks, he favoured portraiture above all else. The portraits in this exhibition were all created by the Christchurch-based artists known as The Group, in the middle decades of last century. The extraordinary flowering of talent now being called Bloomsbury South included playwrights, poets and a composer, Douglas Lilburn, as well as the artists of The Group. Collectively they re-invented the art of portraiture for their time and place and provided images of their contemporaries which are vividly alive and still speak eloquently to us living in another century.